Savings account is meant for those who want to save a certain amount of their income and earn interest on that for future needs. All features are more or less like that of CD a/c except for some restriction that is imposed by the bank. Number of withdrawals over a period of time is limited. The withdrawing amount is not to exceed 25% of the total balance. Individuals, sole proprietorship firm, partnership firm, limited companies be it private or public, clubs, societies etc may open current deposits accounts. Current accounts are most suitable for all types of organizations since frequent withdrawals do not result in a penalty. There is no interest earned from current deposit account. With drawls from this account require seven-day prior notice. 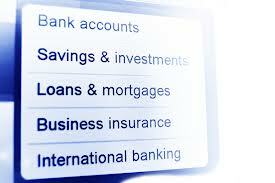 Deposit for a fixed period specified in advance. The banks not maintain cash reserves against this deposit. The bank offers higher rates of interest on FDR. Minimum deposit is Tk 10,000/-. A SSS customer has to deposit fixed amount of money each month for a definite period of time, normally for 5 to 10 years. A depositor can open a SSS account for deposit of Tk., 500/-, Tk.1000/-, Tk. 2,500/-, Tk. 5,000/-, Tk.10, 000/- etc in each month.